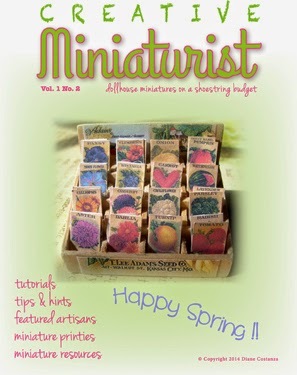 The second issue of Creative Miniaturist is available to read for free. Dianne, your miniature work is beautiful. Isn't she talented, Kay? I can look at her miniatures for hours.